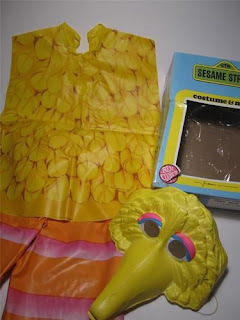 It was October 1980-something and I was obsessed with Big Bird. Everything I did revolved around the character and Sesame Street. When Halloween finally rolled around and my local drugstore received their stock of Ben Cooper Costumes, I knew who I had to be for trick or treating. Big Bird. There was no way around it, if i didn't get to dress like a giant talking bird I would die. That long ago, childhood memory led me down the Ben Cooper nostalgia trail this year and resulted in me finding out about how the Tylenol Murders of 1982 impacted the company in a way that eventually led to its downfall. This also sent me on a path to learn everything I could about a company that gave me the greatest gift ever, the chance to become Big Bird. The following is everything I could dig up on the history of Ben Cooper Costumes. Yes, this is the costume I wore. Founder Ben Cooper was born on the Lower East Side of New York City in 1906. Although his father was a restauranteur, Cooper studied accounting and briefly sought a career as a songwriter before founding a theatrical costume business in 1927. Cooper designed costumes and sets for the legendary Cotton Club in Harlem and several editions of the Ziegfeld Follies. With live theater becoming rarer in the 1930's due to the Great Depression and Halloween becoming a more popular holiday, Cooper established Ben Cooper, Inc., located in Brooklyn, New York, in 1937. The firm assumed control of A.S. Fishbach, Inc.—which had a license to produce costumes based on characters owned by The Walt Disney Company such as Donald Duck and Snow White—in 1937 and began selling Disney costumes under Fishbach's Spotlight brand. The two companies formally merged and incorporated as Ben Cooper, Inc., on December 8, 1942. Ben Cooper wasn’t the first company to manufacture Halloween costumes, nor was it the first to license Hollywood creations for the costume-buying public. But Ben Cooper excelled at one thing, getting licenses to characters before they became popular and before anyone else. After World War II, Halloween costume manufacturing became big business. With the rise of television in the 1950's Ben Cooper obtained the licenses to many live-action shows (The Adventures of Superman, Zorro, Davy Crockett) and began mass producing inexpensive representations of them in costume form. The company distinguished itself with speed. It would quickly license rights, produce costumes and get them onto store shelves, which opened a whole new world of costuming to children. 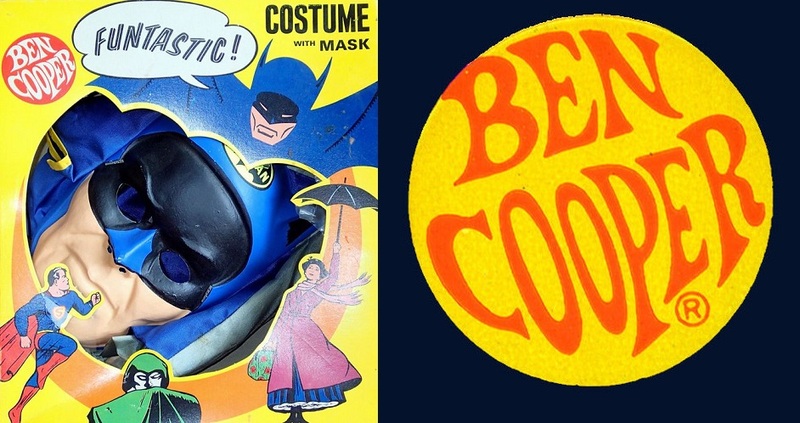 By the 1960's, Ben Cooper owned around 80 percent of the Halloween costume market, offering pretty much any pop culture character in costume form. In the 1970's and early 80's, Ben Cooper sold costumes based on shows such as Joanie Loves Chachi, Welcome Back Kotter, and Laverne & Shirley. By 1979, Ben Cooper was the largest Halloween costume company in the United States, despite the rise of other businesses in the market. And though companies like Collegeville won licenses to films like Jaws and The Golden Voyage of Sinbad, Ben Cooper won the most lucrative license of all: Star Wars. But controversy brewed among concerned parents when the company issued the first costume based on an R-rated movie, the creature from Alien. Ben Cooper’s heyday didn’t last forever. The company filed for bankruptcy twice due to lagging sales caused by the Tylenol Murders of 1982, relocation expenses, and the early 1990's recession. Yet it was new rivals that probably did the most damage to Ben Cooper’s business, selling high-quality latex masks and more realistic costumes. One of those competitors,Rubie’s Costume Company, eventually bought Ben Cooper and dissolved it in 1992.